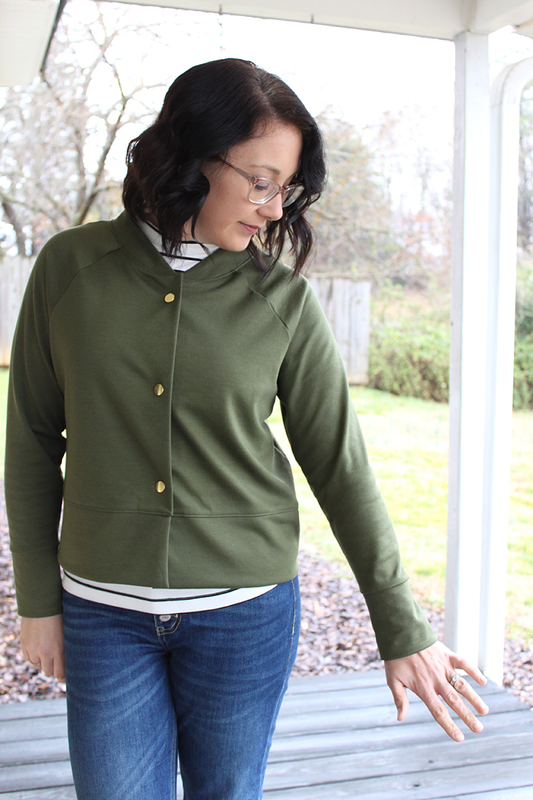 Today is release day for the brand new Monarch Jacket Pattern by Allie Olson! 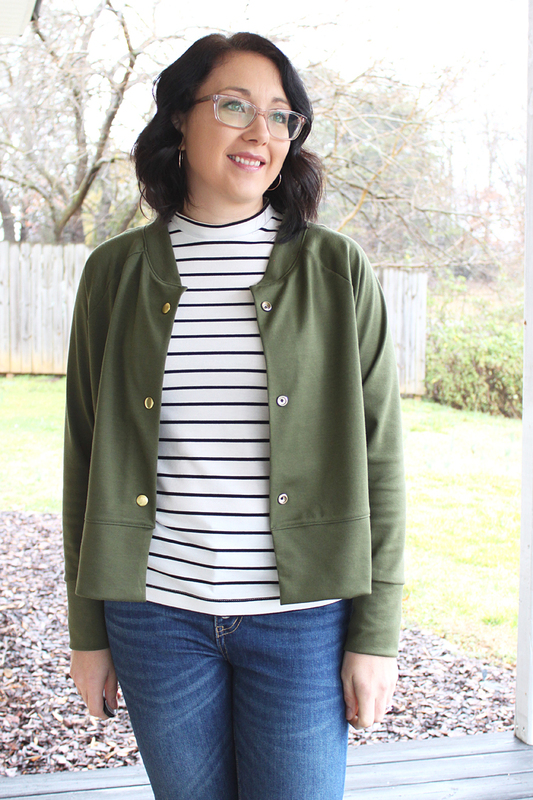 I'm so excited about this because I can finally wear it without trying to hide it on social media like I have been ever since I tested the pattern! Haha. 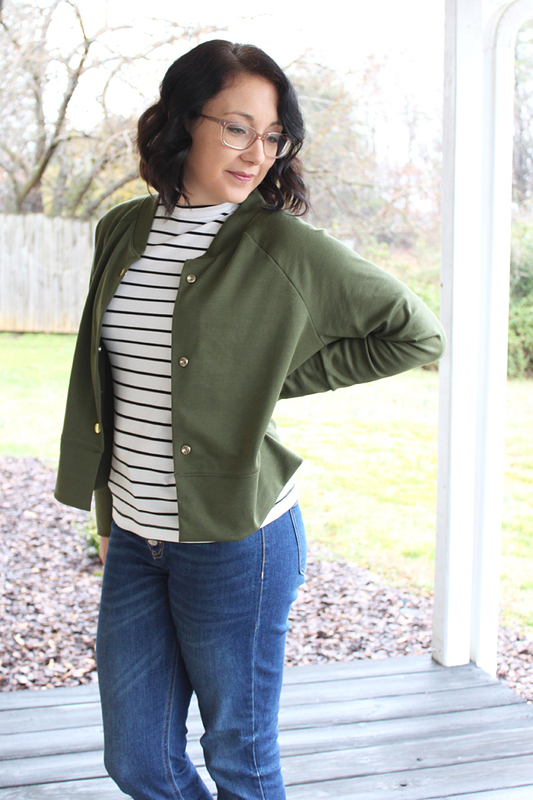 The pattern is a really cute, boxy, slightly cropped, easy to sew jacket with raglan sleeves and snap closures. The recommended fabrics are heavier, structured knits. 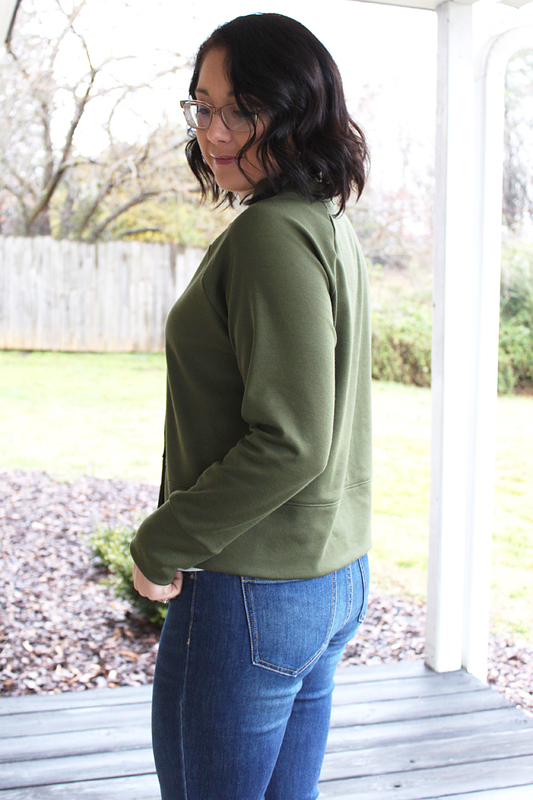 I used THIS ponte knit for my tester version and it's perfect! Since testing, Allie worked really hard to get things perfect and the collar has undergone some changes. There are now instructions and pattern pieces included for using different lengths depending on how much stretch your fabric has. 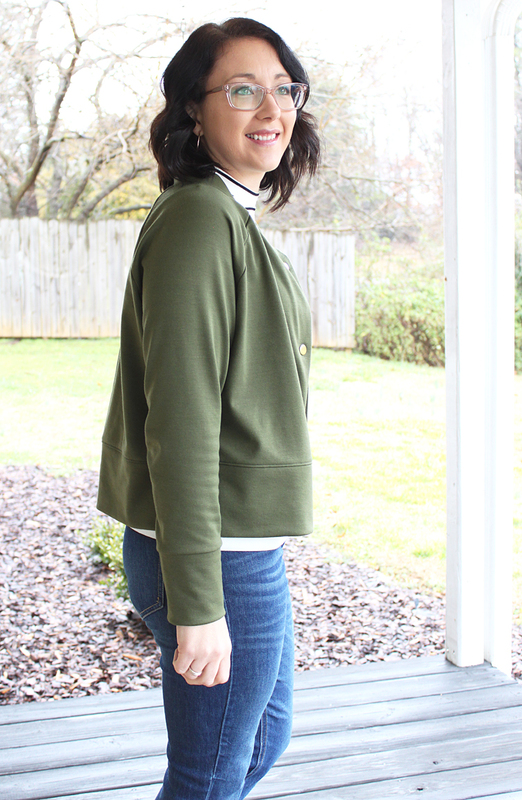 The sewing is super quick and enjoyable with this make! The hem and sleeves are finished with cuffs, and the closures are snaps, so everything comes together in no time flat. The collar has also been redrafted so that the edge of the collar meets the center front of the jacket. Mine was made during testing, and I decided it really doesn't bother me, so I'm happy to wear it as is! 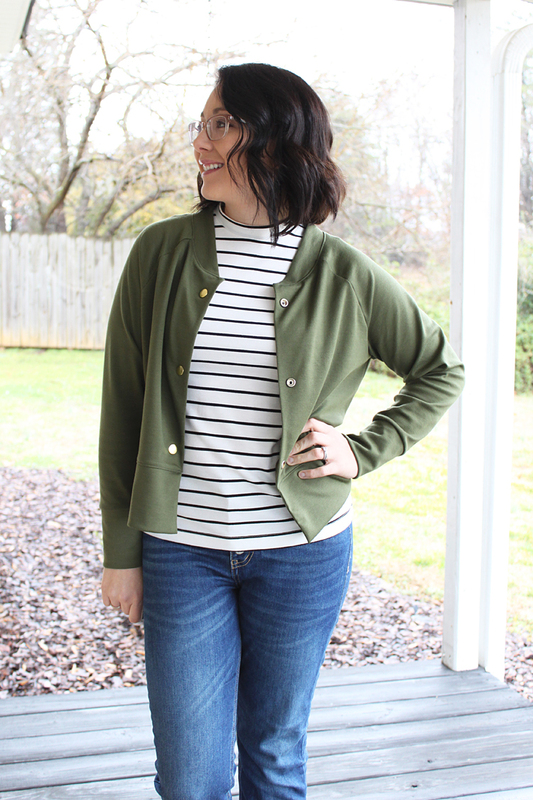 Otherwise no changes were made to the fit, and I love wearing this comfy lightweight layer! 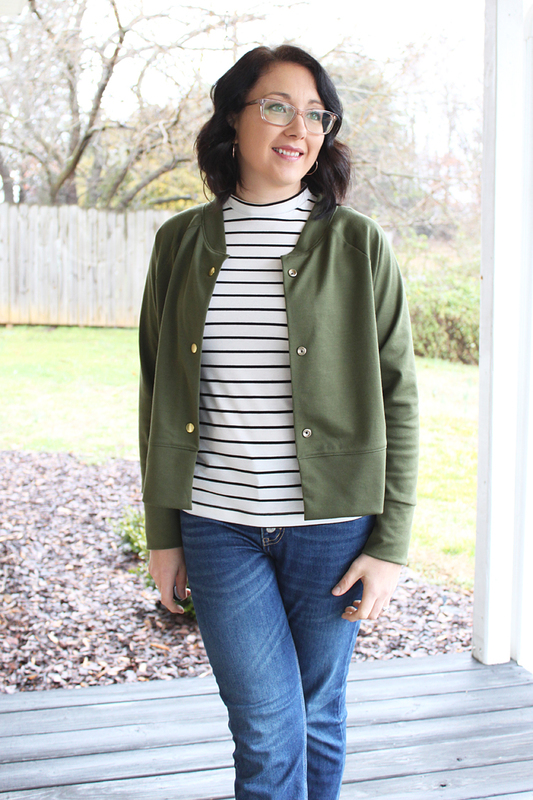 It's been perfect for our in-between weather this late winter/spring, I've been wearing it loads! Here are some fit photos with the jacket closed up. I definitely usually wear it open, but it's cute closed up as well! 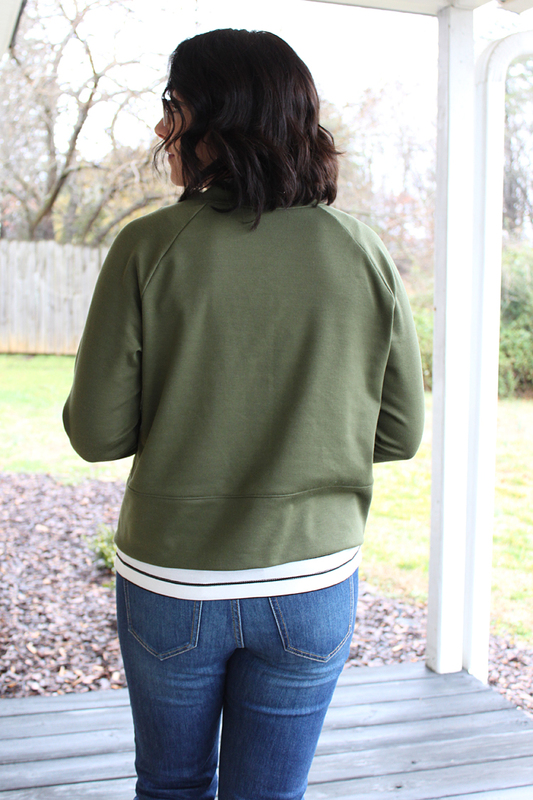 The sleeves are intended to be slightly cropped to mirror the jacket length, but since I'm on the shorter side, the fit is pretty good as is. Next time I may actually take a bit out of the sleeve length, because it's super cute to have the sleeves scrunched up a little! 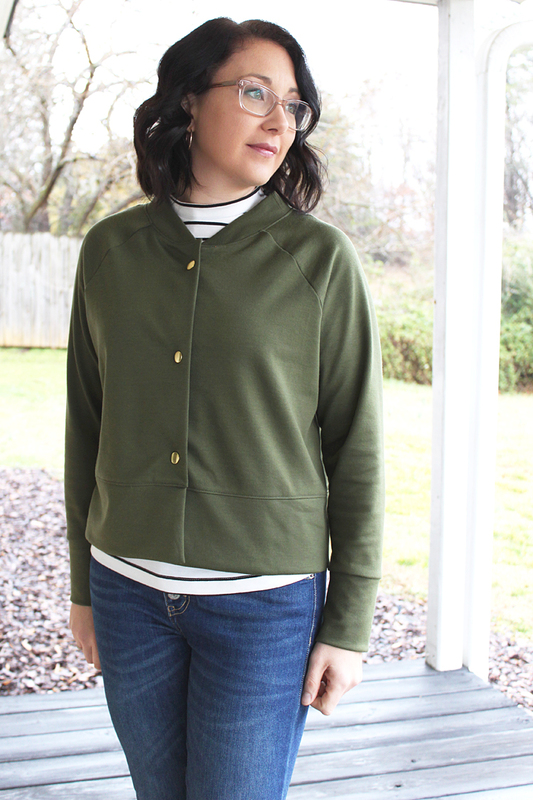 Head over to IndieSew to grab your own copy today!